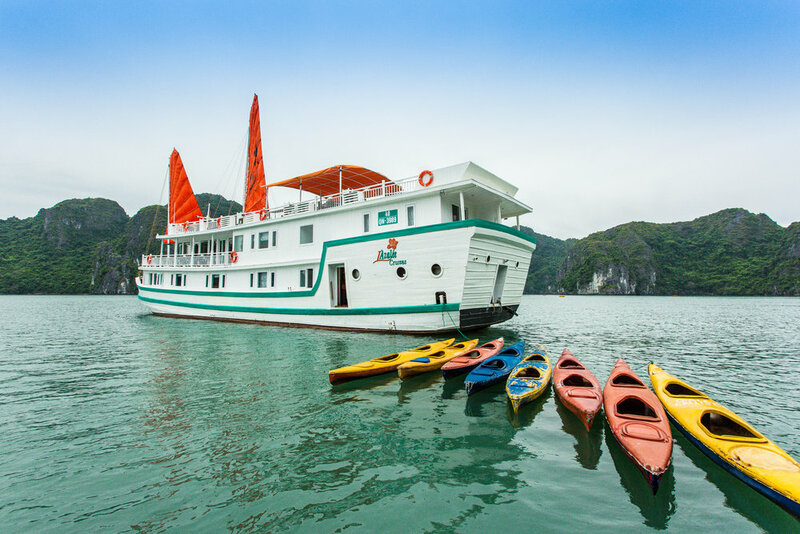 Explore the amazing natural wonder of Halong Bay on a two-day cruise through the jade green waters of this UNESCO World Heritage site. 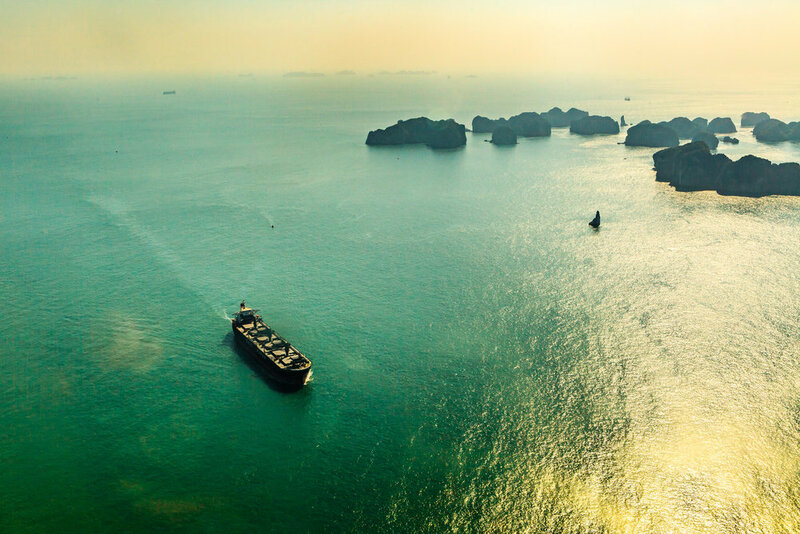 The only better way is to see it all up-close as you land on the water for an overnight stay on a traditional wooden junk operated by L’Azalée. 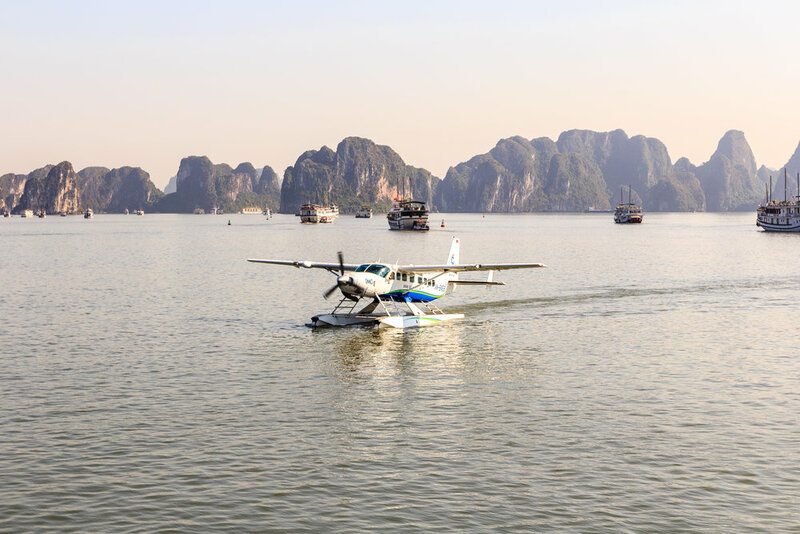 Guests have the opportunity to visit floating fishing villages, kayak past towering jungle-clad karsts, explore caves, go fishing and even enjoy a spot of swimming. 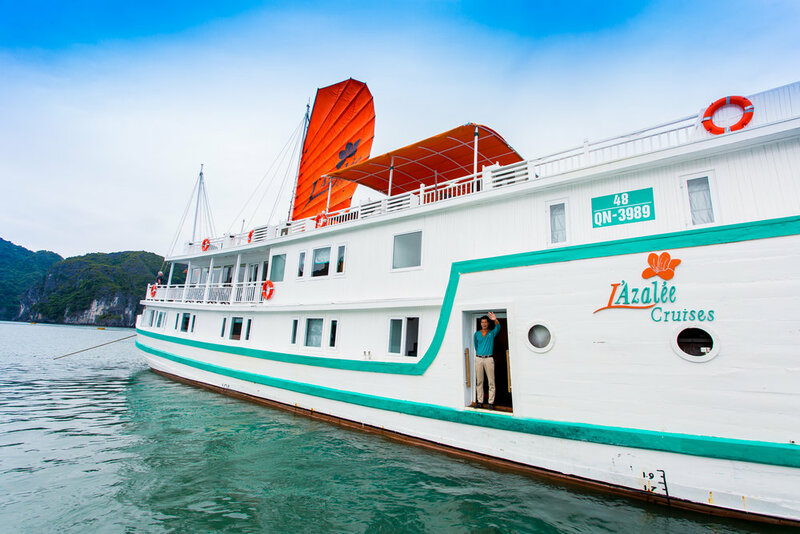 12:00 - 12:15 Transfer from the Reception Lounge to L'Azalee Cruise to be welcomed onboard by your crew who will be hosting you. 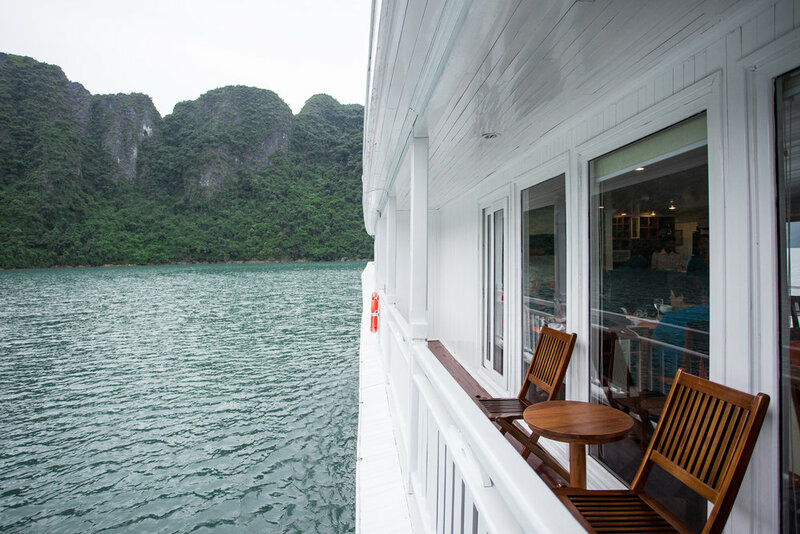 12:15 - 14:45 Lunch is served while continuing to cruise through the tranquil, peaceful and calm waters between Cat Ba Island & Halong Bay. 18:00 - 21:00 Arrive overnight anchorage location. Get ready for “Wrap & Roll Time”. Dinner is served. 11:00 - 11:30 Check out. 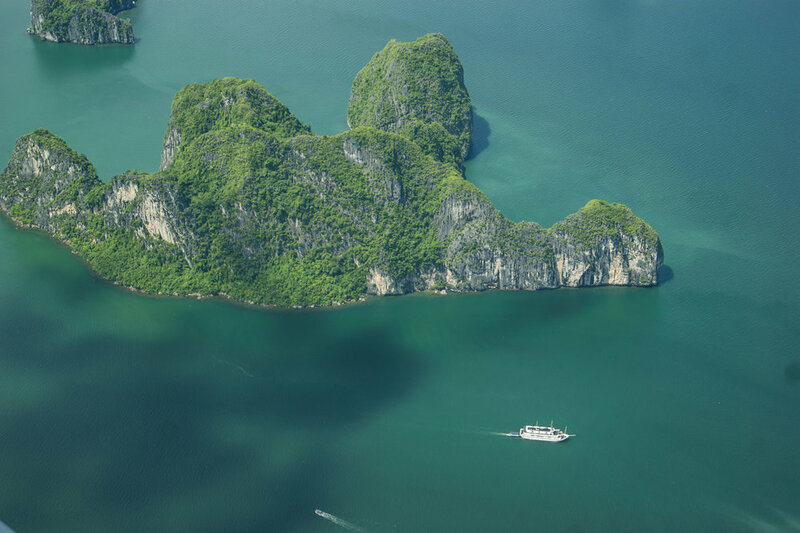 Disembark for the L’Azalee Cruises Reception Lounge. 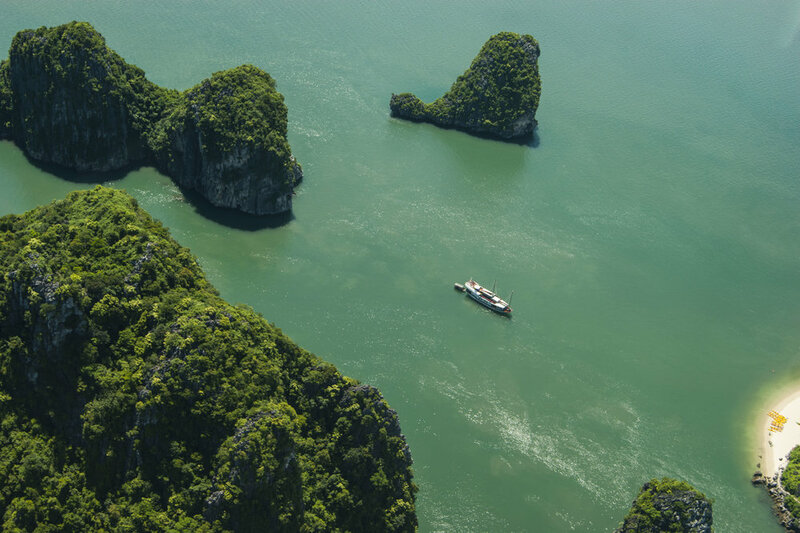 Join transfer back to Hanoi. 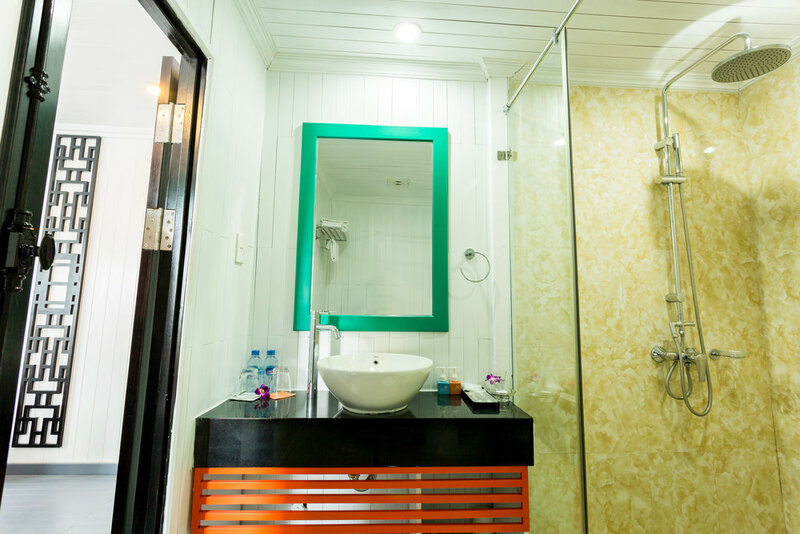 12:00 - 16:00 (Shuttle bus) Shuttle bus to pick you up at L’Azalee Cruise Lounge to drive back to Hanoi. 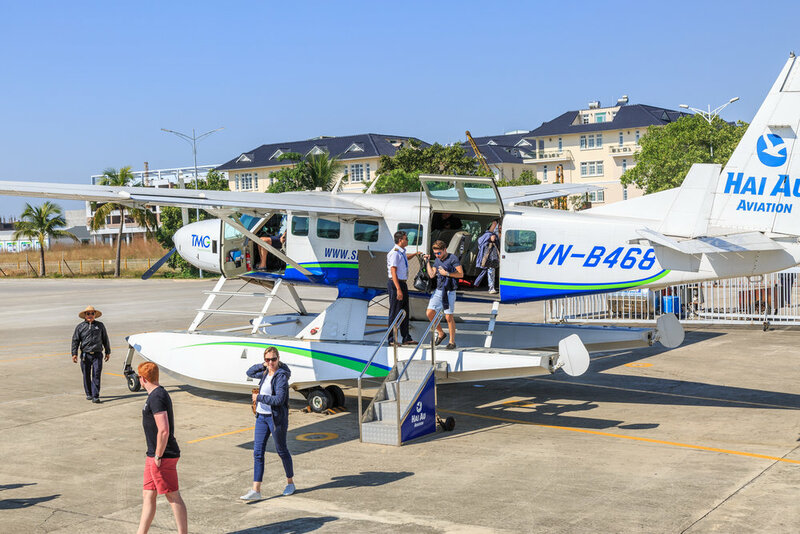 11:30 - 12:30 (Seaplane) Take off from Tuan Chau Marina, fly back to Noi Bai Airport. Shuttle bus to drop you off at hotel. End tour.